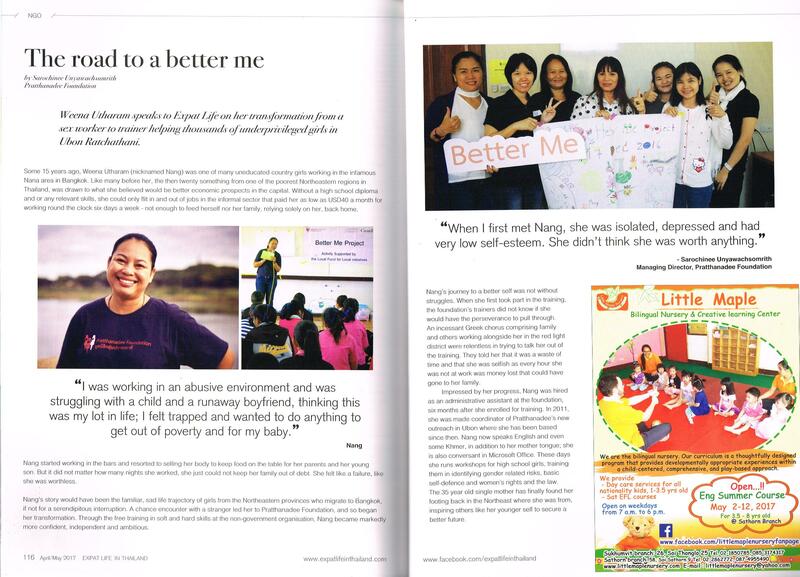 Weena (Nang) our Ubon Manager spoke to Expat Life in Thailand about her personal transformation. You can read the article below or, for a better quality image, using Expat Life in Thailand magazine’s online reader here. We are on page 116.